The Angie’s List Super Service Award honors excellence among service providers who maintain superior service ratings and reviews on Angie’s List throughout the year. We take pride in offering exceptional tile and grout cleaning services- contact The Grout Medic in your area today at 1-866-994-7688! Dealing with Stained, Dirty, or Dingy Tile and Grout? 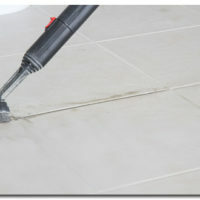 How Often Do I Need Professional Tile and Grout Cleaning?